In English it is called as Banana, in Tamil it is called as Vazha Pazham, in Malayalam it is called as Pazham / Vazha Pazham, in Telugu it is called as Arati Pandu, in Kannada it is called as Bale Hannu, in Hindi it is called as Keda, in Bengali it is called as Kollaa, in Gujarati it is called as Keda, in Konkani it is called as Kellin, in Marathi it is called as Kele / Kel, in Oriya it is called as Champa Kadali / Kadali and in Punjabi it is called as Kella / Kela. Kiwifruit is another kind of berry, like a banana. 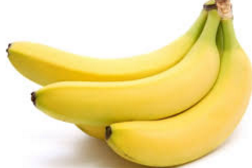 The fruit contains rich nutrients such as Vitamin C, A, K, E and B, potassium, copper, folate, and fiber. A Kiwi is a vast reservoir of Vitamin C. One Kiwi is contains roughly five times the Vitamin C in one orange. It is a fantastic source of dietary fiber and thus great for aiding digestion. Folate is also found in Kiwifruit. What is Kiwifruit Called in Hindi, Marathi Gujarati, Tamil, Telugu and Other Indian Languages(Regional)? Dragon Fruit originates from the Americas. It is produced from a species of the cactus plant. The fruit is rich in phytonutrients, Vitamins C, good fatty acids, a number of B vitamins, carotene and protein. It is also considered great for skin. They are free from complex carbohydrates and the presence of thiamine help in food digestion. Also, the fruit has phytochemical captin that's considered good for heart health. What is Dragon Fruit Called in Hindi, Marathi Gujarati, Tamil, Telugu and Other Indian Languages(Regional)? 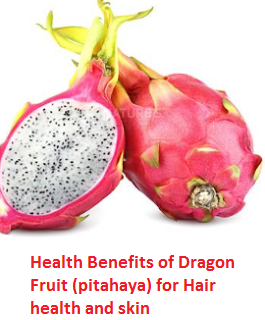 In English it is called as Dragon Fruit, In Tamil it is called as Agippazham, In Malayalam it is called as Pithaya, In Telugu it is called as piaya, In Kannada it is called as pitaya and in Hindi it is called as pitaya. Lemon is a small round yellow colored citrus fruit. It is highly acidic in nature.Lemon finds its origins in Asia. It has been considered a therapeutic fruit for centuries now. It is small in size, although its benefits are far too many. Lemon is a great cleansing agent. In moments of low blood pressure or fainting, one can trust a lemon drink like no other. Lemon is also a great remedy for Kidney Stones. It is considered to be home remedy for indigestion and constipation. Its regular intake also keeps a person cool and calm. Lemon juice is a great tonic to improve our immune system and cleansing of the stomach. What is Lemon called in Hindi, Marathi Gujarati, Tamil, Telugu and Other Indian Languages(Regional)?